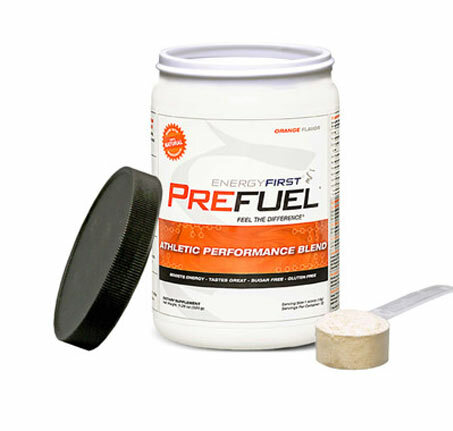 Our Best-Selling Prefuel® Pre-Workout Energizer is the best all natural pre-workout performance powder available anywhere. It is sugar free, gluten free, 100% natural and delivers amazing results. Just use 2 scoops before a workout or a single scoop anytime throughout the day for increased performance, energy and mental clarity. long-lasting energy and mental clarity. Don't Waste your Workout - PreFuel It! Before you break a sweat and rev up your routine...power up and prime your muscles to perform at your best! 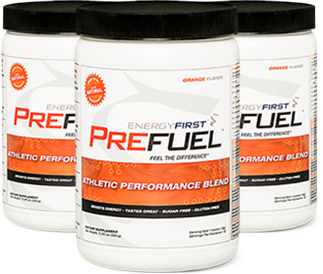 Prefuel® prepares your mind and body for the energy and concentration your body demands. 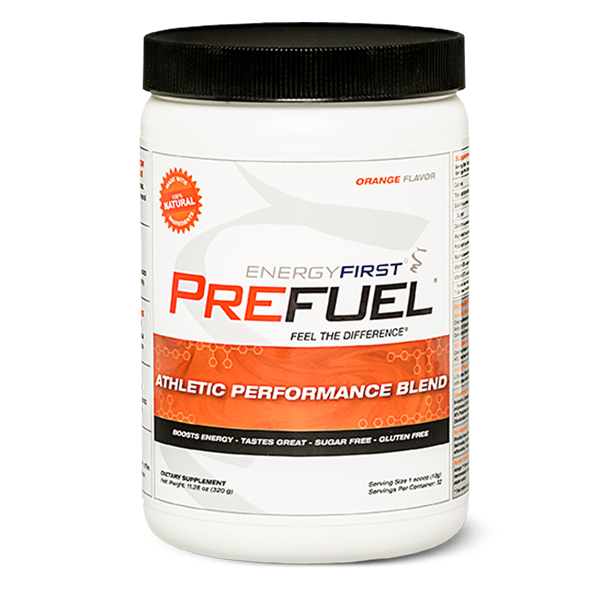 Our revamped Prefuel® is just the right pre-workout fuel your body needs for optimal peak performance. 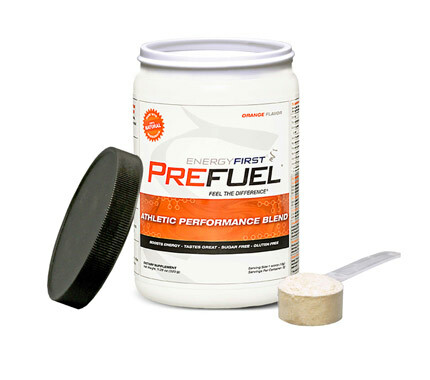 Want to know more about Prefuel®? The Ultimate Fuel for Health and Fitness! 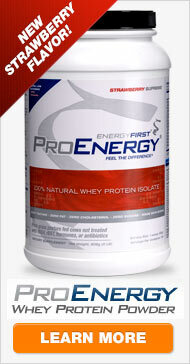 Pre-Workout Drink Net Weight: 11.28oz (320g) Sale Price: $34.99 Add to Cart 6 or more only $29.99 each! 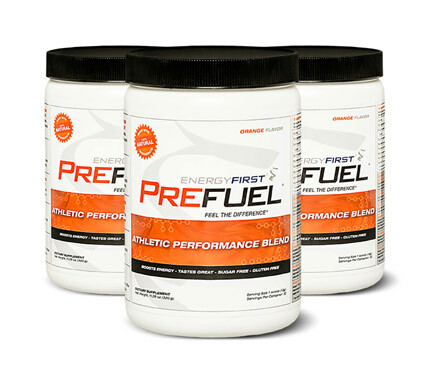 One Bottle Prefuel® = 32 scoops! "I have lost weight... and inches off my waist while feeling energized throughout the day. Thank you EnergyFirst!" 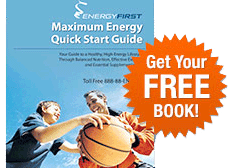 EnergyFirst´s products have made me healthier than I have ever been. As a 24 year old business owner, I live at a face pace and need the energy to power me through my day.